Jasper Hill Farm’s Harbison often adorns the cheese boards we so carefully curate for those special friends and guests we know to appreciate such selection. Harbison is one of those cheeses that not only pleases the palate, but also looks delicate and beautiful on its own. Edible compliments are just that – merely additions to this beautiful wheel of spoonable deliciousness. It is without surprise that this woodsy, sweet cheese earned the title of “Best American Cheese” at the World Cheese Awards in Birmingham, England. Soft-ripened with a bloomy rind, Jasper Hill hand-wraps each Harbison with spruce cambium, the tree’s inner layer of bark. This bark is harvested each spring, a time when nutrients rush into the tree from its thawing roots and a new tree ring forms. The spruce is carefully selected from Jasper Hill’s very own woodlands. 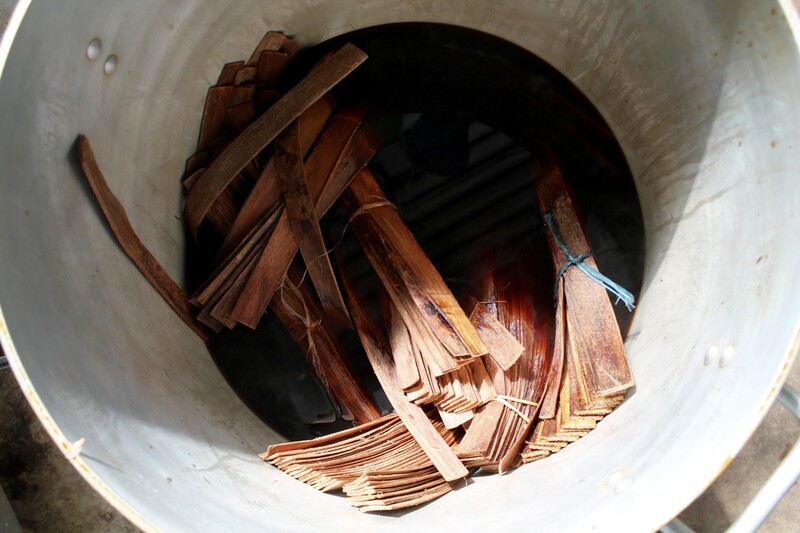 The search for the perfect specimen with little to no branches persists into the deep forest, until one such tree is chosen and plucked to remove its bark and reveal the inner cambium layer. 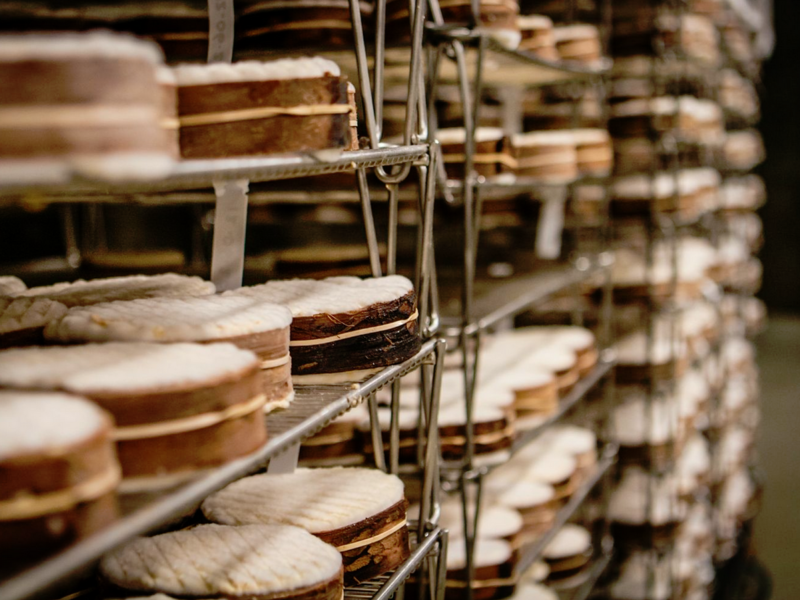 These pliable strips then make their way to Jasper Hill’s extensive cellars, where a team meticulously wraps each young Harbison wheel with bark – soon to dry and harden to hug the aging cheese all on its own. Jasper Hill’s success is undoubtedly on the rise. Award winning variations and nation-wide distribution go to show the fact that this creamery has something special. 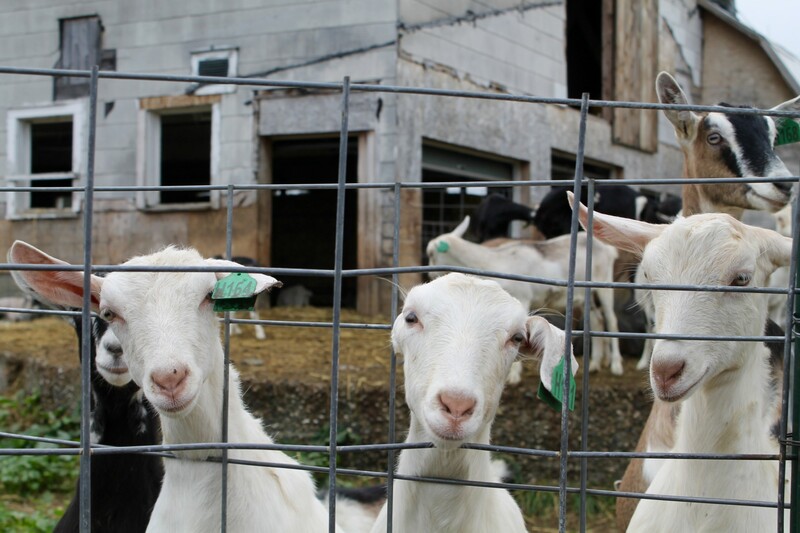 The farm attributes its steady upswing to quality, the heart of all Jasper Hill efforts, which has allowed for the company’s steady growth and new cheese cellars. Each vaulted tunnel of the aging cellars run underground, into the farm’s hillside. These savvy cheesemakers utilize the temperature and humidity provided by the earth to house about 1 million pounds of cheese at a time. Feeling like Charlie in the chocolate factory, we discover that each tunnel houses its own awe-inspiring atmosphere. A different employee playlist, distinct cheesy smell, and shelving configuration adorns each appendage of the Jasper Hill cellars. Touring Jasper Hill and seeing their process firsthand makes clear how much care and logistics come into play with each wheel of cheese. 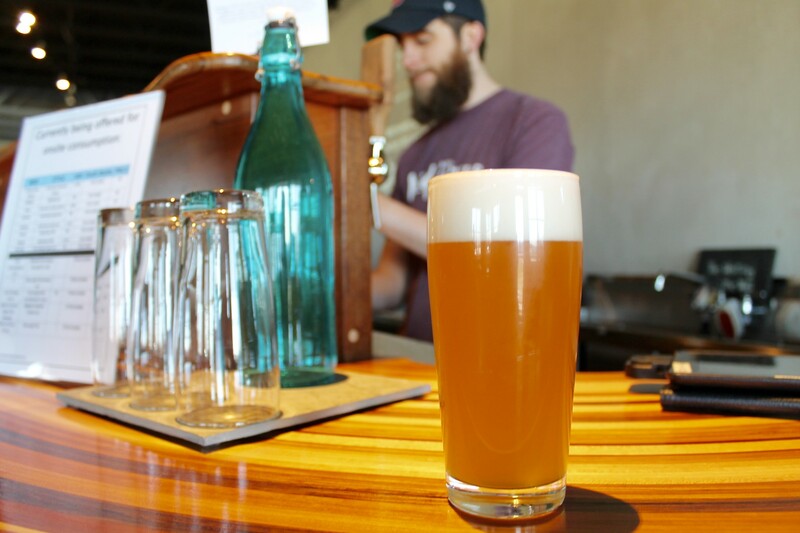 From testing and handling the cheese to meticulous timing, Jasper Hill isn’t messing around. They have their business down to a science and the product reflects just that. First impressions are everything, and Jasper Hill prides itself on the condition in which their cheese arrives to their customers. Cheese shipped to California, for instance, will be sent with travel duration in mind, to anticipate the cheese arriving at the appropriate maturity. Depending on your personal preference, a suggested 9-10 weeks from production yields a ripe wheel. We prefer our Harbison extra soft and supple, so we break it out shortly after getting our hands on one of these bark-wrapped bambinos. 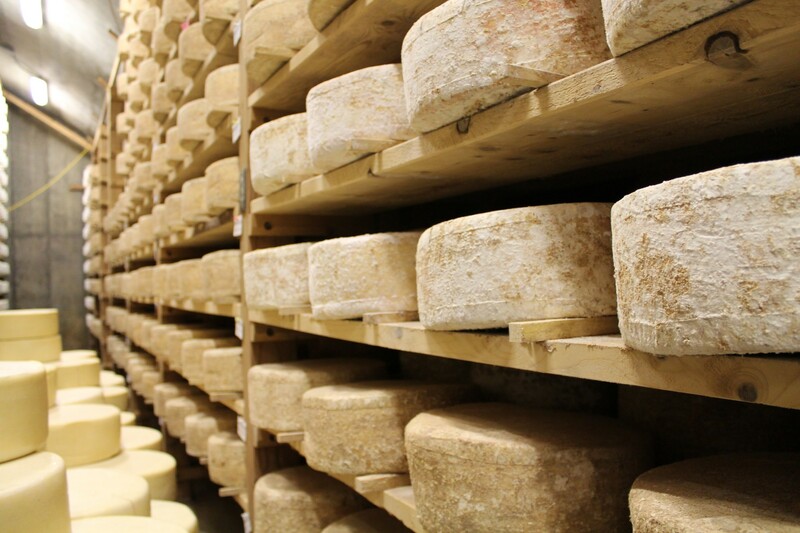 Beyond aging, we recognize Jasper Hill’s special attention to the many variables that go into their cheese, from start to finish. The quality of dairy used, for instance, is reflected in the landscape and feed given to cows. After all, “a cheese will never be better than the milk that it’s made from.” The creamery now owns and tends to their own happy, healthy cows. Jasper Hill even went so far as to build their own in-house microbiology lab, used to discover the microflora which make their raw milk cheese so unique. Further, we notice a lack of machinery in the cellars. 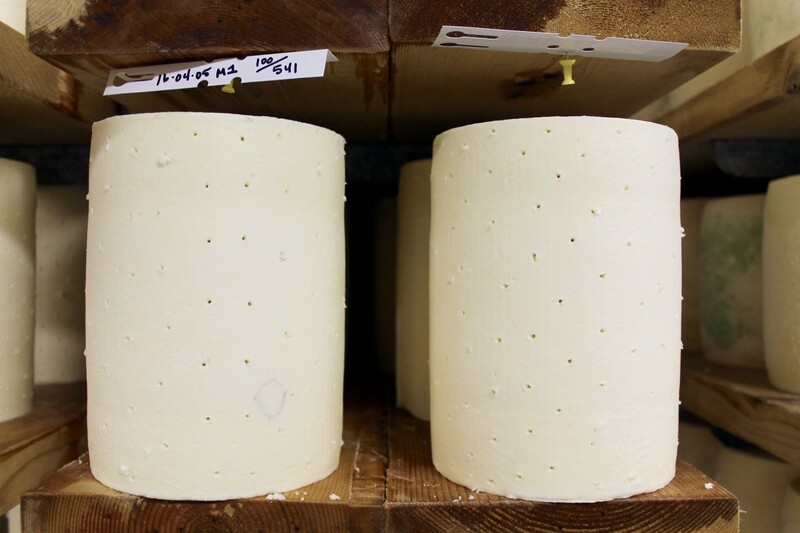 Employees are put to work in brushing cheese wheels with lard encasements, wrapping bark on Harbisons, and patting the wheels prior to shipment. 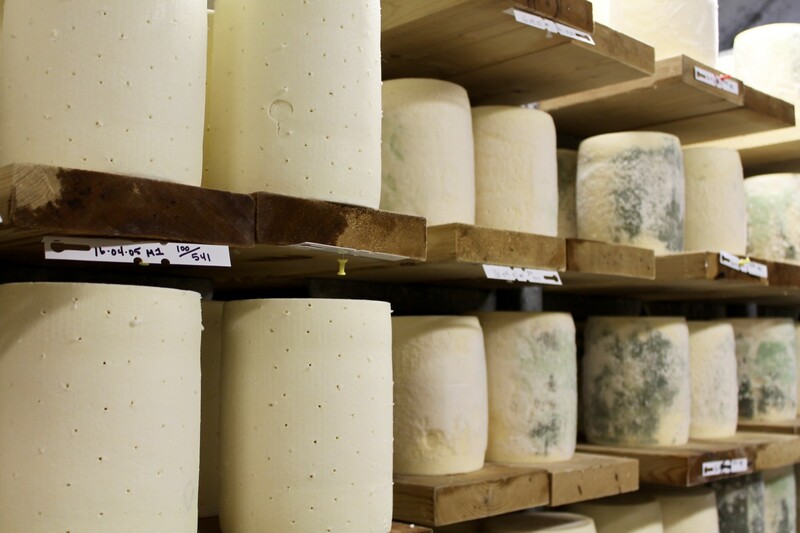 The company’s heavily handmade process goes to show Jasper Hill’s thoughtful control and personal touch in the complete cheesemaking process, causing us to appreciate each wheel of cheese even more so. Jasper Hill’s essential constant? A knowledgeable team, organized around the understanding of all variables. The collective nature of the those working in Jasper Hill’s cellars emanates, not only in the quality of their product, but also throughout our interactions with them. Each member of the Jasper Hill family holds a clear understanding and passion for the cheese they handle, and that energy is incredible to witness. 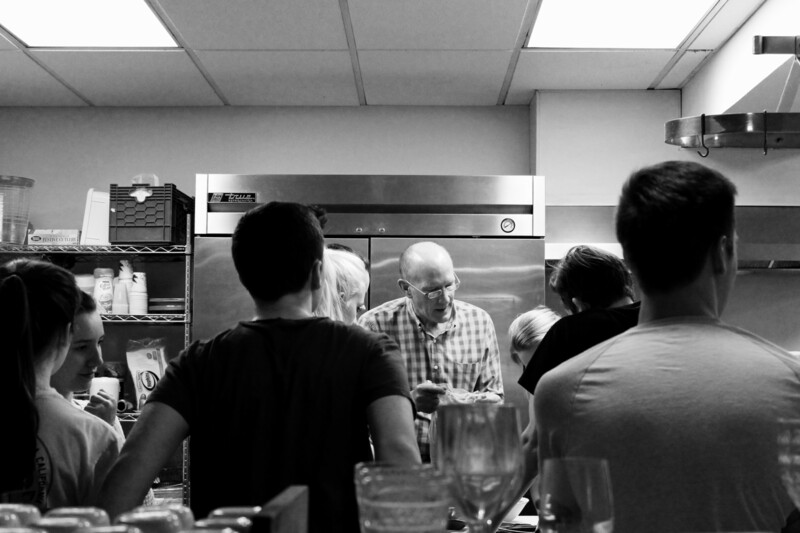 If we weren’t already enamored with their cheese prior to visiting, we were certain to fall head over heels for the company after this tour. Other notable cheeses include Jasper Hill’s Bayley Hazen Blue. 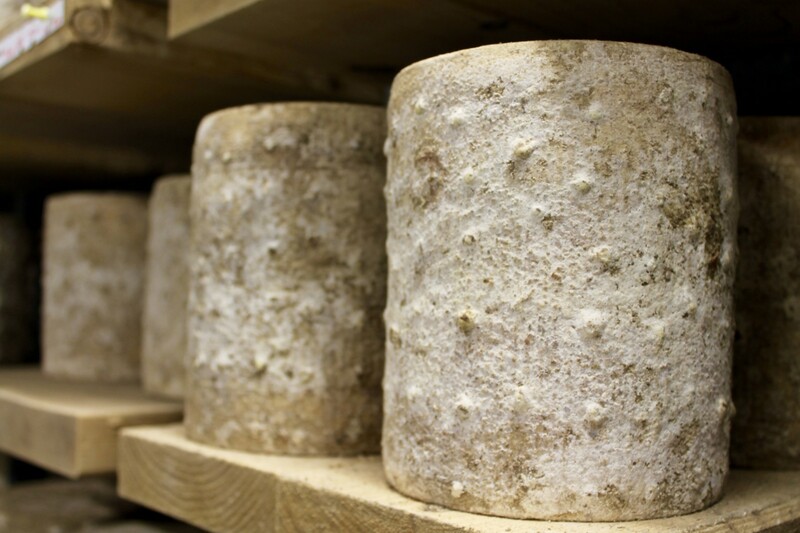 The cheesemakers pierce young wheels to increase oxygen flow and kickstart the growth of the blue mold. Pay attention to your Bayley Hazen the next time you bring one home. The well-distributed “veins” are hard to miss. The ombre effect on the cellar shelves are mesmerizing, and make us crave its creamy, fudgy texture. This cheese’s nutty and dense flavor profile has created quite the following, and we’re proud members of this cult. In fact, we’re in good company. The White House served this particular cheese at a State Dinner for the French President. An impromptu signature wall displays the names of those who’ve also graced Jasper Hill’s underground cellars – the likes of which include Hen of the Wood and Chef Emeril. 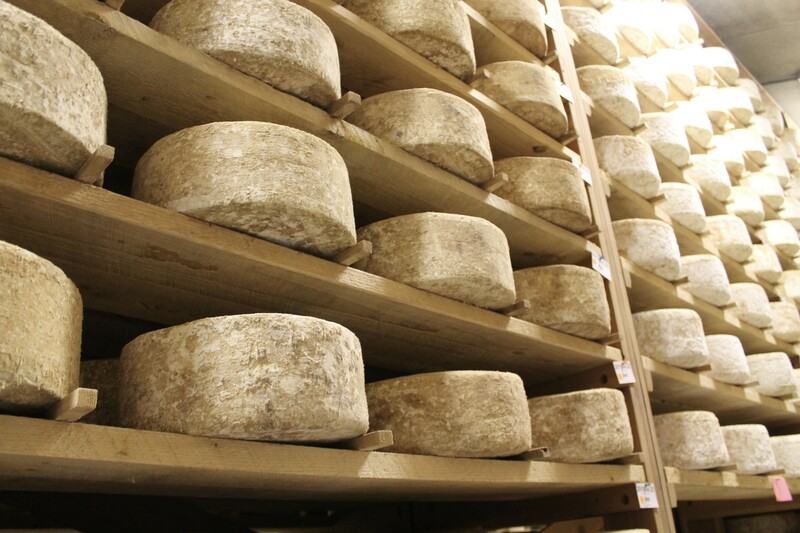 While not generally open to public tours due to the delicate nature of their aging cheese, Jasper Hill has pioneered a meticulous cheesemaking process to provide quality product to markets throughout the country. Wherever you may be, this cheese should be available to you in your local quality cheese distributor, including Whole Foods. 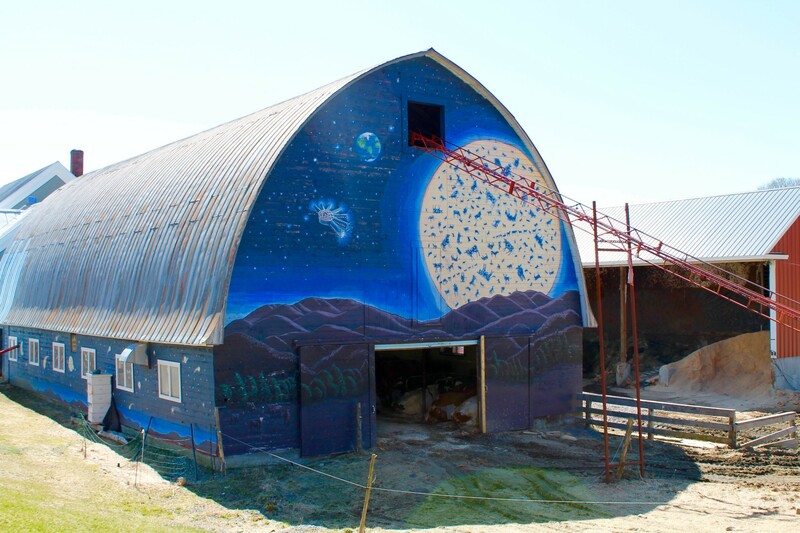 We catch a glimpse of Jasper Hill’s barn, donning a ridiculously awesome painting of Bayley Hazen Blue in space, before heading home. Thank you for this very special tour, Zoe! 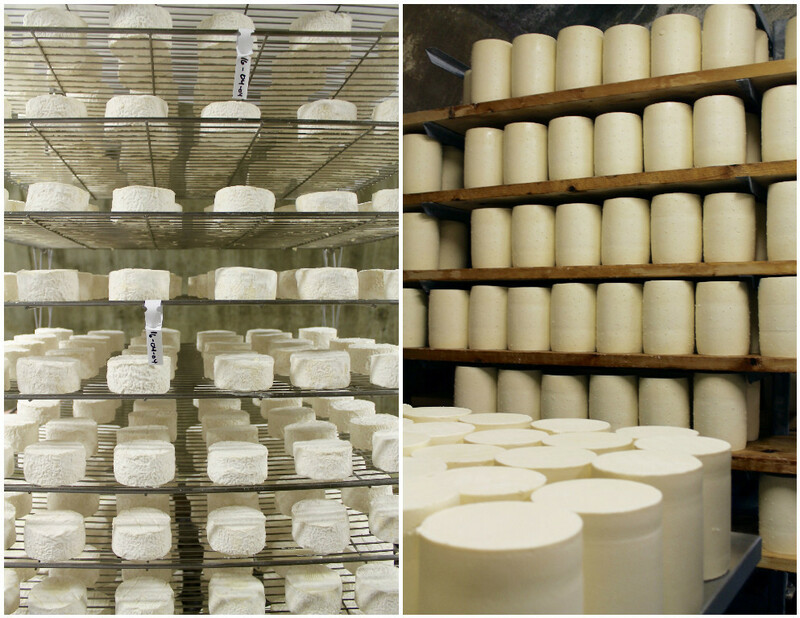 We couldn’t be happier to have seen the process that goes into our favorite cheeses firsthand. We leave with a better understanding and respect for owners Andy & Mateo Kehler, and the cheese venture in which they continue to thrive.